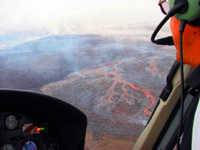 Our Big Island Volcano Circle of Fire Helicopter Tour is an impressive and dramatic way to take in the full majesty of the largest active volcano on the planet. 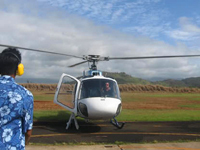 The birds eye view you will have is breath-taking as you fly over tropical rainforests, waterfalls and the massive Kilauea Caldera. 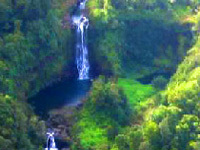 On our Circle of Fire and Falls flight, you will fly over dense rainforest and lush valleys with streams and pools filled by cascading waterfalls. As you proceed, the vast, stark plains of the lava fields begin to emerge. For an extreme adventure, this flight is also available with the Doors-Off. 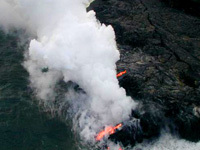 Your senses will be amazed as you soar above the island and feel the heat created by Kilauea Volcano. 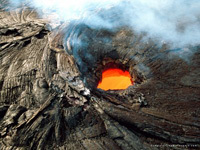 You will see all the beauty and majesty of the Big Island literally from the edge of your seat. 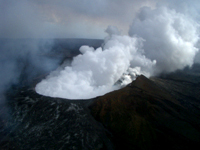 Click here for more information on our Doors Off Volcano Tour.